Chic Sleep — Pencil & Paper Co.
We aren’t one to shy away from cozy pajamas, but for 2019 we’re dreaming about pretty matching pajama sets! “Chic even with you sleep” is this year’s goal! We are currently obsessed with all of these beautiful finds from Natori. The cuts are so chic (we love the cropped pants and sleeves) and they wash beautifully (no dry cleaning necessary). You could easily style any of these sets with a sparkly heel and a bold earring and head out to cocktails or a even black tie event in this amazing embroidered couture caftan. Dressing up a pair of satin pajamas is both chic and comfortable! 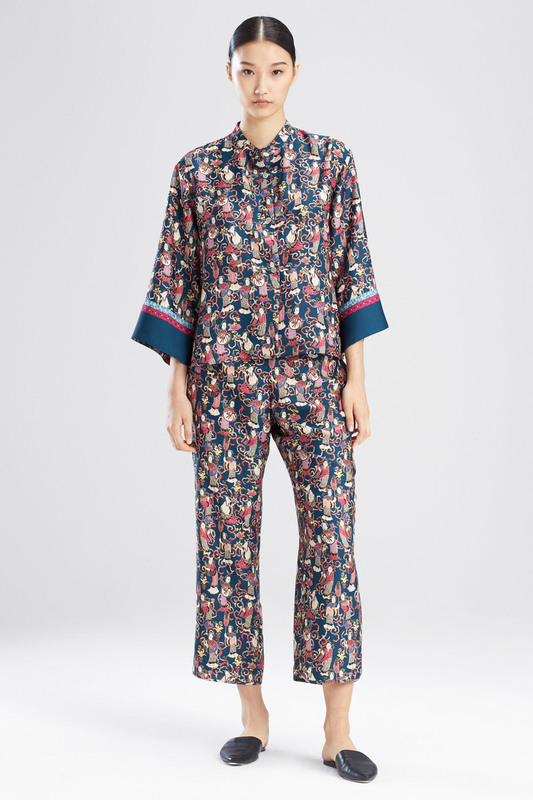 We can’t resist a pretty patterned silk pajama set (like this, this or this pair from Outnet) paired with statement earrings, a chic handbag, and a strappy sandal. The same combination works well for a caftan (we love this, this and this one). What’s your favorite pajama brand?